An iconic beach hut, which became the emblem of the Mablethorpe and Sutton-on-Sea Bathing Beauties Festival, has been replaced with a more robust structure. 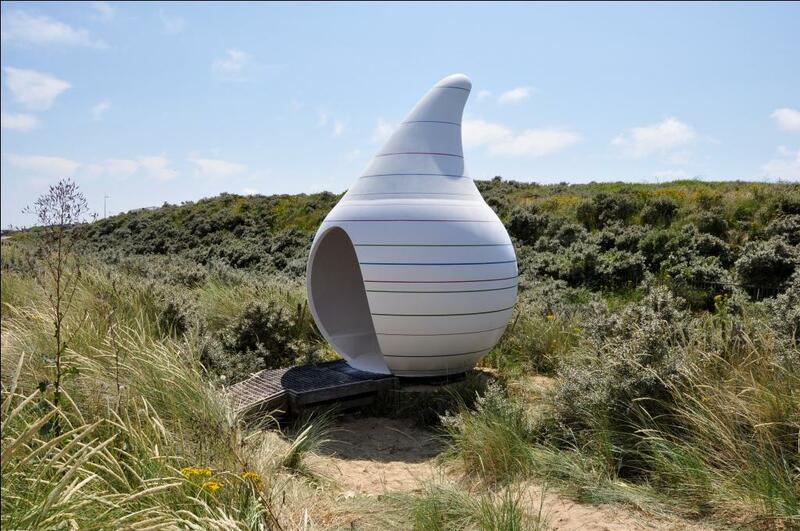 In 2006, a competition to design a beach hut for the 21st century saw many weird and wacky creations cited along the coast. The huts provided an added attraction for visitors and have enjoyed international attention. But, the years took their toll on the most iconic of the huts, which was designed by I-AM – Jabba, a striking curved structure, which was designed to blend with the sand dunes. Due to the way it had deteriorated, the original hut was unable to be restored and was removed in 2013. After consultation with East Lindsey District Council, Mablethorpe and Sutton Town Council and local residents, Lincolnshire County Council worked with I-AM to design and build a more robust Jabba II. Read more about the original Jabba.